Easy Homemade Pizza Dough – Make your own dough in less time than ordering in. 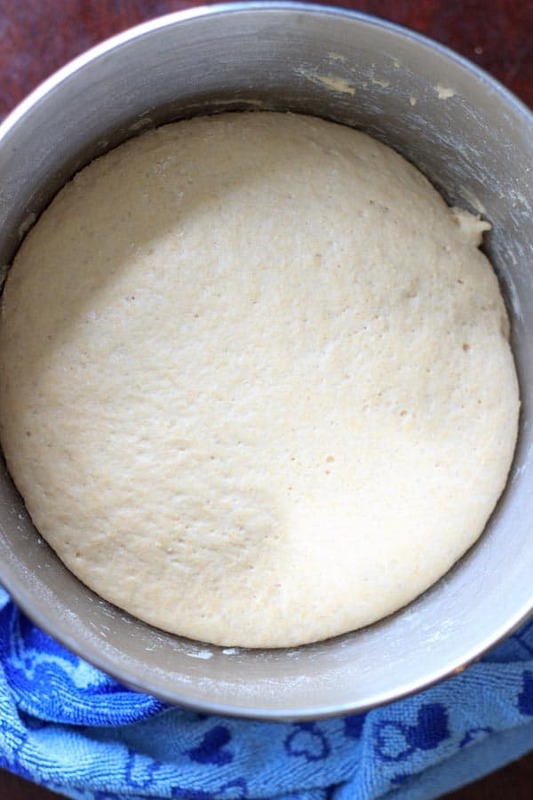 Quick yeast dough will make dinner prep easy! One of my favorite go-to dinners to make at home is homemade pizza. I pretty much always have the ingredients on hand for at least a basic pizza, and the dough is so simple – all you need is yeast, water, flour, sugar and salt. Then you add the flour and salt. Sometimes I like to add a tablespoon of olive oil to the sides of the bowl, it seems to help with the rising and keep the dough soft. You’ll know the yeast is working when it looks nice and fluffy after you let the dough rise, like this: See, that wasn’t so hard was it? This recipe will make two thin crust pizza in a 12-inch cast iron pan. My favorite pizza lately has been jalapeno and pineapple, made even better with barbeque or hot sauce. But this basic dough is ready for whatever toppings you want to add: tomato sauce, honey, spinach, tomato, sriracha sauce, veggies, you get the idea. I’ve heard the best way to bake your pizza is at super hot temperatures like 500 °F – but since that number kind of freaks me out, I bake it at 475 °F, for about 12 minutes. Quicker than delivery! 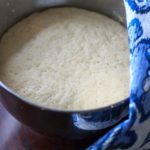 Easy Homemade Pizza Dough - Make your own dough in less time than ordering in. 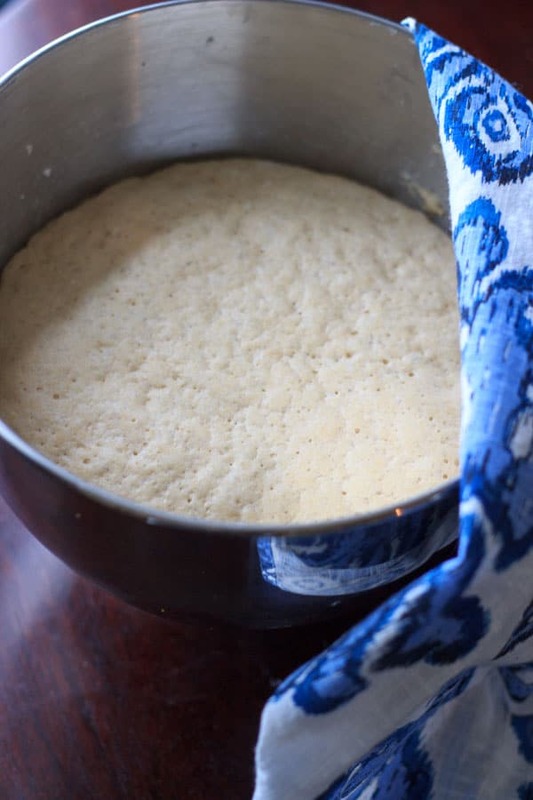 Quick yeast dough will make dinner prep easy! 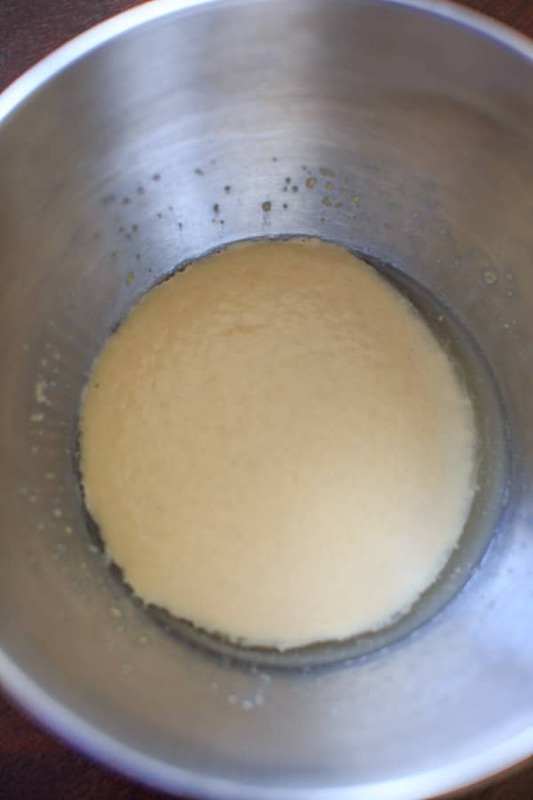 Proof the yeast - in a medium mixing bowl, add yeast, hot water, and sugar. Stir together. Let sit for 5 minutes until bubbly. Add salt and flour gradually, mixing together until combined. 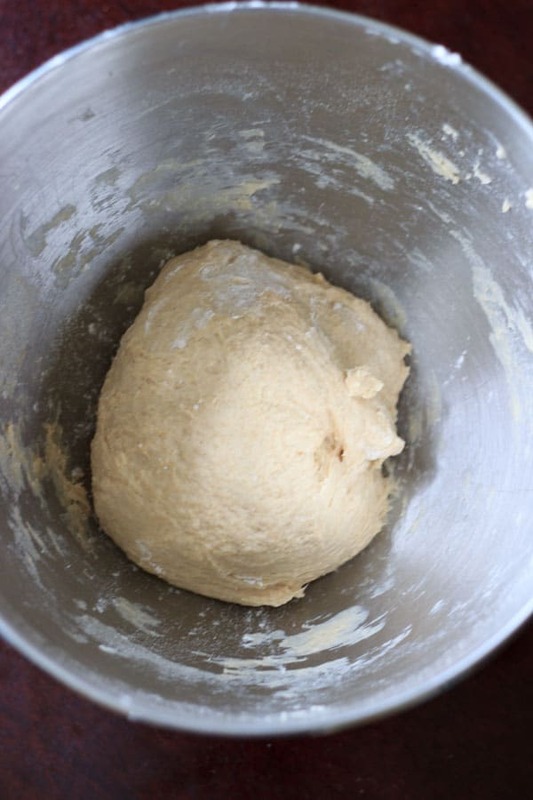 Knead using a mixer or by hand for 5 minutes until soft and elastic, adding flour if necessary. If using the olive oil, add to the sides of the bowl using an olive oil or pastry brush. Will make two, 12-inch thin crust pizzas. Cook with desired toppings at 475°F for about 12 minutes in a cast iron pan. Wow, 475 degrees Fahrenheit is still really hot. My husband and I really want to eat pizza tonight, but neither of us is a good cook. Also, our oven only just manages to get to 350 degrees without whining about it. I’m kind of concerned about what would happen if we tried to get it hotter. I think that we’ll find a pizza restaurant for tonight and then try your recipe later when we have a good oven. If you need to bake at a lower temperature (like 350) just leave it in for longer and expect a softer crust. If your oven has a broiler, you can turn that on the last 2-3 minutes to crisp it up if you prefer! Hey, Kelly. I tried it as the way you directed and it was perfectly done. Thanks for the blog. So glad to hear, thanks Angela!